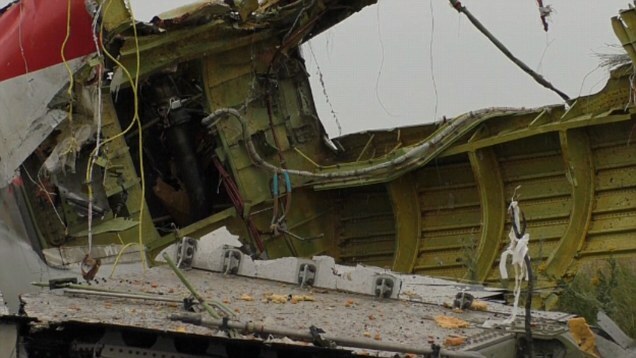 Was MH17 shot down by militants trying to assassinate Vladimir Putin? 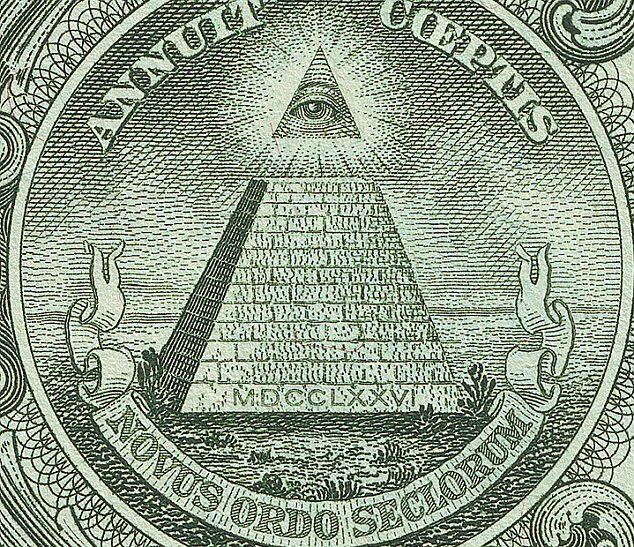 Was it work of secret society The Illuminati to establish New World Order? 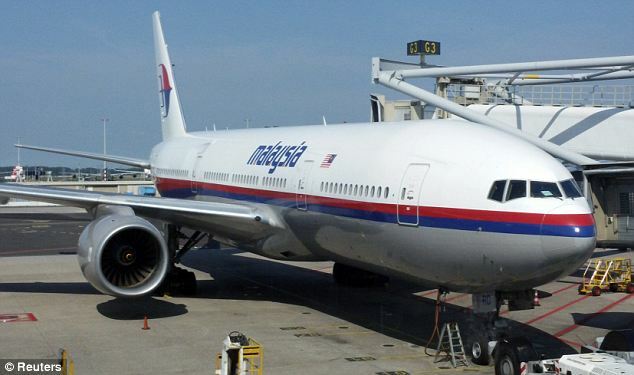 Were MH17 and MH370, which went missing in March, actually same plane? As the world continued to search for answers over the downing of Flight MH17, the internet came alive with conspiracy theories today. The Web has long been a haven for numerologists and conspiracy crackpots peddling their alternative analyses of events that shake the world. And today was no different as web sleuths across the globe rushed online in a bid to hypothesize over what really happened to the doomed Malaysian Airlines passenger plane . . .
Was whoever shot down MH17 actually trying to assassinate Vladimir Putin? Russia Today sparked a fever of speculation last night after publishing a report that claimed the doomed flight was flying almost the exact same path as Putin's presidential plane did less than 40 minutes later. 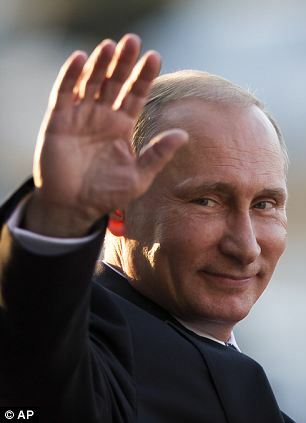 It quoted a source as telling Interfax news agency: 'I can say that Putin’s plane and the Malaysian Boeing intersected at the same point and the same echelon. 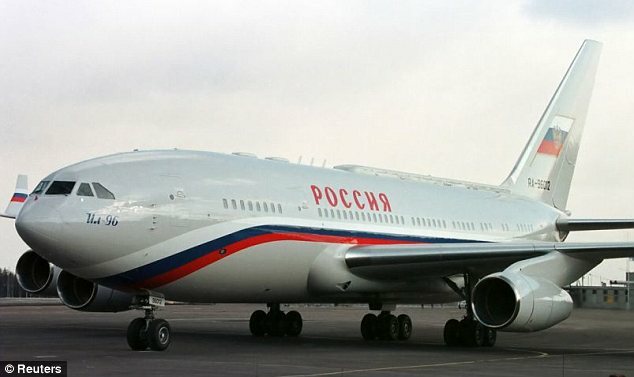 It goes on to point out that Putin's presidential plane bears uncannily similar red and blue markings to those painted on all Malaysian Airlines craft. Within minutes of the report, Twitter was flooded by claims the shooting was a botched assassination attempt. Some even took it to mean US president Barack Obama ordered the C.I.A. to carry out the alleged hit. 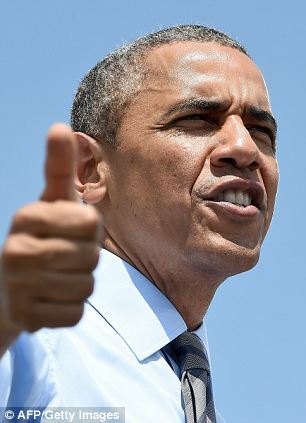 '#OBAMA TRYING TO KILL #PUTIN #Putin's plane was following 'almost same route' as crashed #MalaysianAirlines #MH17,' gushed one excited user. Another blamed banking dynasty the Rosthchild Family. 'ROTHSCHILDS TRIED TO KILL PUTIN & HIT WRONG PLANE TODAY - ALL BECAUSE OF BRICS BANK & USD END - HOW STUPID COULD THIS ZIONIST IDIOT BE?,' Dave Rocki blasted. Or was it in fact the nefarious work of occult secret society The Illuminati? Many have claimed that The Illuminati carried out the attack as part of its longstanding masterplan to trigger a third world war and thus establish a New World Order ... chiefly because of the plane's links to the number seven. Malaysia Airlines Flight MH17 was a Boeing 777 and made its maiden flight on July 17, 1997 - 17 years ago to the day, many theorists point out. On top of that, July is the seventh month of 2014. Adding up the year's numbers (2+0+1+4) makes seven. A writer on conspiracy website Before It’s News claimed the tragedy was 'clearly' an attempted false flag to launch a new global war. The number seven is a figure that has long been associated with the clandestine group, who are said to view it as the essence of perfection. Reddit user, ISayWhatEvery1Thinks went a step further, writing: 'Mh17 (one seven) – a 777 has been flying for 17 (one seven) years, was shot down during the 17th (one seven) day of the 7th month of 2014. Many modern conspiracy theories propose that world events are being controlled and manipulated by the Illuminati, a secretive and ancient society blamed by proponents for a string of world events including the Battle of Waterloo, the French Revolution and President John F. Kennedy's assassination. There have even been suggestions that the group is in fact a Communist pressure party hellbent on creating a new world order by infiltrating the Hollywood film industry. The group's involvement was further bolstered by a New York Times journalist who revealed the plane was shot down 17 years to the day since its maiden voyage. A coincidence or not, it was enough proof for many that a sinister plot was to blame. Did Israel mastermind the shoot down to divert world's gaze from its assault on Gaza? Some people even took to MailOnline's own comment section to expound their hypotheses. 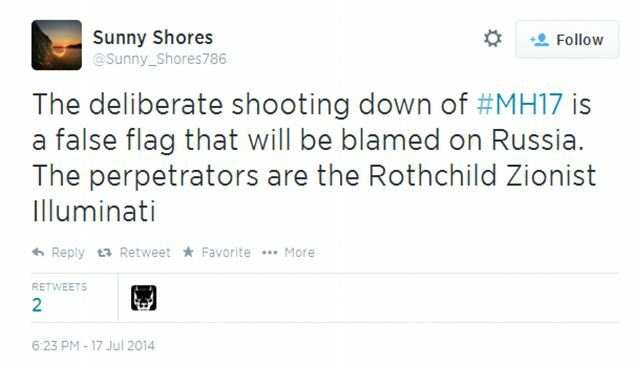 'Benji', from London wrote: 'Did Israel have something to do with it? It's incredibly convenient for the government of Israel that the day before they launch their ground attack on Gaza. Do 'Pristine' passports prove it was all a hoax? Many Twitter users claimed pictures of victims' passports found at the scene were in too good a condition to have possibly been involved in the crash. 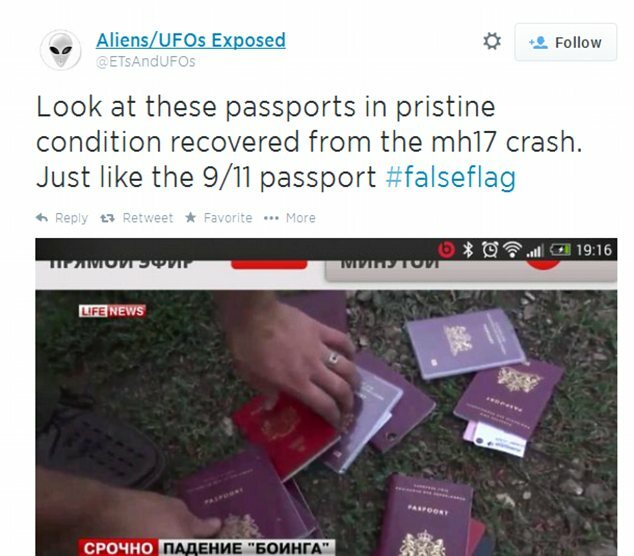 'How could the passports found at the #MH17 crash site be so pristine? Wondering if these are authentic,' wrote Mamadoxie. 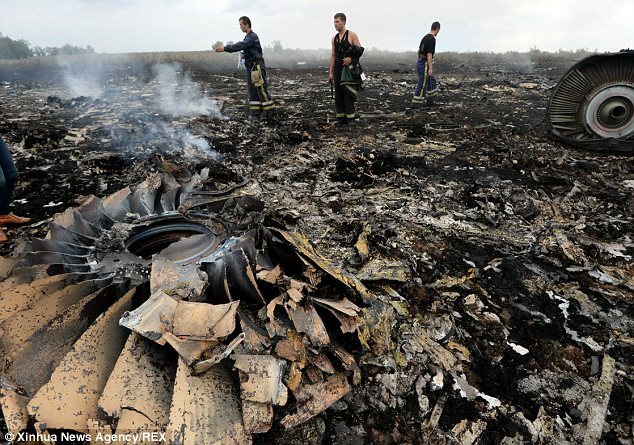 Could MH17 have actually been the same Malaysian Airlines plane that disappeared in March? This argument appeared a little less-well researched than some of its counterparts. But a lack of hard evidence didn't stop theorists sharing their views that MH17 was in fact MH370 - the plane that disappeared over the Indian Ocean in March. Was International Monetary Fund chief Christine Lagarde in fact the mastermind behind the atrocity? The IMF Managing Director gave a speech to the National Press Club in Washington D.C. about the power of the number seven. In the speech she used numerology to make a series of forecasts for 2014 based around the 'magic seven'. 'Now I'm going to test your numerology skills by asking you to think about the magic seven,' she told the audience. She went on to point out that 2014 will 'mark the 7th anniversary of the financial market jitters', and will be the 25th anniversary of the fall of the Berlin Wall, 25th (2 + 5 = 7)'. She made a series of further references to the number seven that inspired a glut of blog posts and tweets accusing her of sinister occult dealings. Natalie Minnis was one of many who took to Twitter today to point out Lagarde's alleged links to the dark arts. 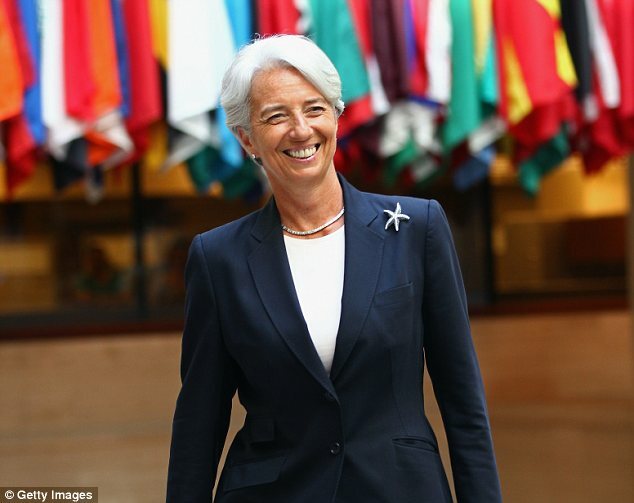 'Was Christine Lagarde trying to give a message about the #MH17 tragedy in her bizarre speech about numerology?' she tweeted.